You are currently browsing the tag archive for the ‘Tile’ tag. Incorporating tile into the design of your kitchen or bath is a design trend that has been around for thousands of years. 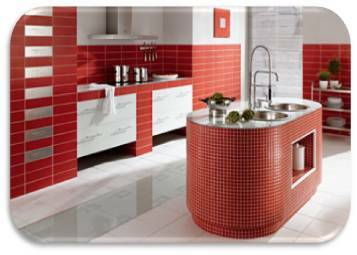 Because tile comes in all colors, sizes and materials it is possible to truly personalize your home with tile. Like the right accessories to match an outfit, the perfect tile can influence the look of the entire space. Whether you’re wrapping the whole bath or kitchen in glass or using colored ceramic to spice things up, tile can bring texture, style, and pizzazz to any space. 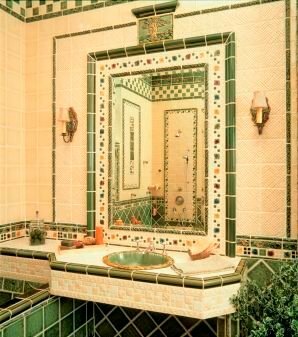 Tile is being used throughout the home as a design element on walls, as a backsplash, on fireplaces, as decorative accents, in showers and even in outdoor living areas. outdoor decks to kitchen floors. Available in a variety of sizes for design versatility. It’s virtually maintenance-free with a lifetime of beauty. www.crossvilletileandstone.com. Crossville Tile and Stone. 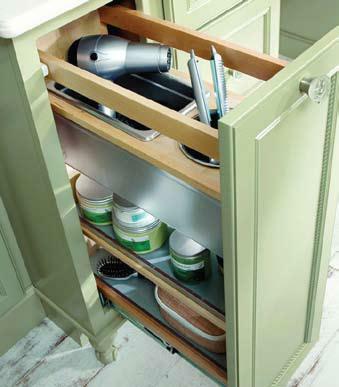 704-927-8453.
out of the equation is a unique retro design for your cabinet doors and drawers. Available in bronze, brushed chrome and polished chrome. www.rejuvenation.com. Rejuvenation. 888-401-1900.
solve this problem. Shown here is the Immersion. The floor-mounted exposed tub filter with hand shower, has a spout height between 31 1/2”- 34 5/8”. http://www.graff-faucets.com. HD Kitchen and Bath. 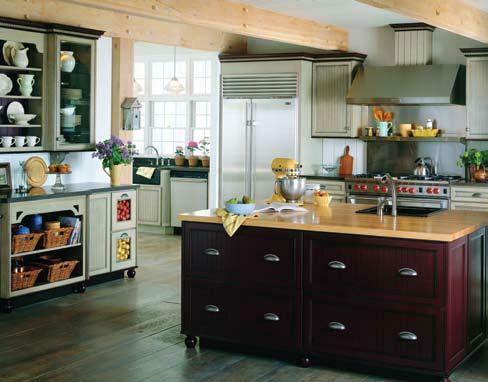 Huntersville: 704-892-6466, Charlotte: 704-845-5970.
griddle and French top allow you to customize your range. The large oven features the Wolf exclusive dual convection system. http://www.queencityonline.com. Queen City TV and Appliances. 704-391-6000.
timeless design. http://www.kichler.com. Unique Lighting Showplace. 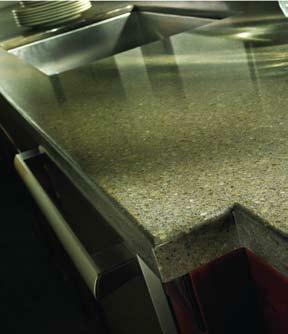 704-553-1341.
a combination of a polished and a honed finish. Ziva is available for indoor use. http://www.artistictile.com. 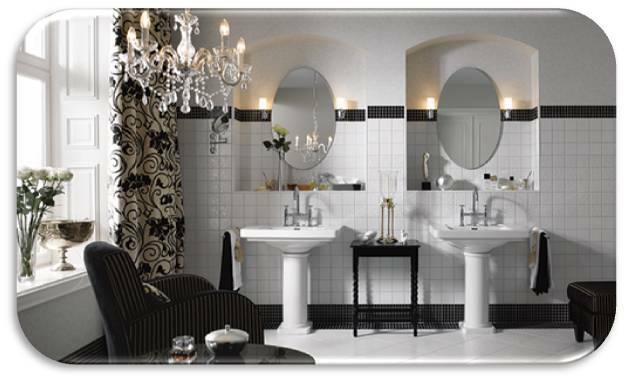 you a chance to add your personal touch and sense ‘of style to your home. http://www.tilecollection.com. with only two visits during the process from the homeowners. How so? Through Zar’s attention to every detail and commitment to constant communication while building a lasting relationship with clients. New tile from InStyle Charlotte reduces homeowner cleaning efforts! InStyle Charlotte has recently added an innovative collection of German ceramics to their unique showroom product roster. Not only are there more colors of mosaic than we ever thought could exist but every tile boasts the ability to reduce homeowner cleaning efforts, decompose bacteria & germs, and act as an odor-eliminator due to a revolutionary surface treatment called Hydrotec. This tremendously functional coating is formed by baking titanium dioxide onto the glaze during manufacturing which acts as a catalyst for a reaction between light, oxygen, and air humidity. All tiles are suitable for interior as well as exterior applications such as pool coping, patio flooring, or out-door showers. Those of you who adore the monochromatic, European-chic look will be thrilled to see that each mosaic comes in a glossy finish for wall applications and a matte finish for floor applications. Down-size your list of chores but not your personal style. 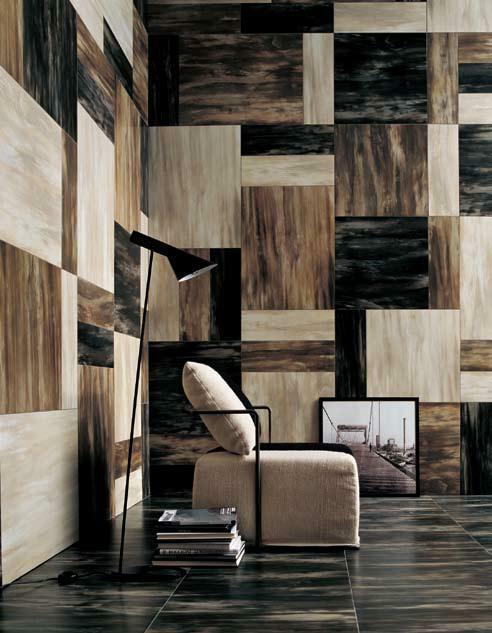 SECAUCUS, N.J. (December 3, 2010) –Artistic Tile’s Ziva Collection has won Interior Design magazine’s 2010 Best of Year Award. The winners of the Fifth Annual BOY Awards were announced on December 2nd at the renowned IAC Building in New York. Thousands of members of the design community voted on interiordesign.net and the final winners were selected by a panel of esteemed members of the design community including Interior Design magazine’s Editor in Chief Cindy Allen. Hand carved by master craftsmen in India, the Ziva Collection is inspired by nature and brought to life in stone. Each piece is individually crafted by stone carvers who can spend up to one full day on a single piece. The collection has two patterns—Lotus and Leaves—and each are available in two colorways. Leaves is available in white Thassos marble as well as Lake Blue. Lotus is available in Gris and Bianco Carrara. The new collection is offered in any of Artistic Tile’s eight showrooms or through their authorized dealers around the county. For more information or to find a showroom near you, please visit http://www.artistictile.com. Artistic Tile is one of the largest wholesale distributors of luxury tile and stone in the country, and offers unique products to architects, designers and homeowners available for immediate delivery. The company is a family-run business headquartered in Secaucus, NJ. Artistic Tile brand products are distributed through Artistic Tile showrooms, as well as through a network of more than 150 dealers across the United States. For more information about Artistic Tile, visit http://artistictile.com. The Artistic Tile line is available locally at InStyle Tile at http://www.instylecharlotte.com/. Call them at 704-665-8880 with any inferences. 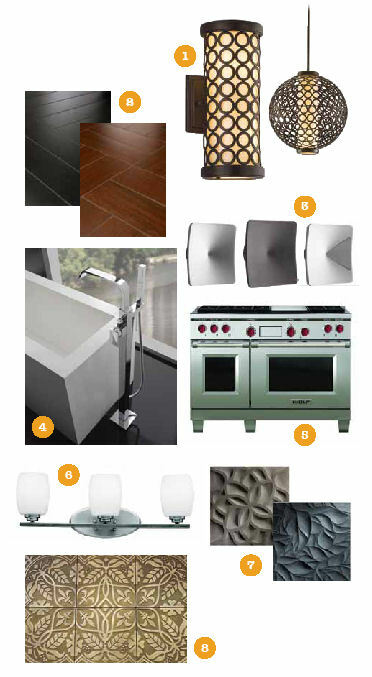 A Splash of Bordeaux- Tile Collection, Inc. Interior designer Cindy Meighan of Designed Interiors in Charlotte recently found the kitchen design project she’d been waiting for. As soon as she walked into the kitchen of Charlotte homeownersSuzann and Steve Yarborough to discuss a major kitchen remodel, she knew the space was perfect for a dramatic granite backsplash. With the fabrication and installation so critical on this project, Cindy turned to professionals who would not only meet, but also exceed her expectations. Visit the Tile Collection showroom at 11200 Carolina Place Parkway. Call us at 704-541-8453 or visit us online at www.tilecollection.com. Why would a well-established local business choose to change their name? In the case of Queen City Countertops, a name change was needed to better represent their expanded service offerings. 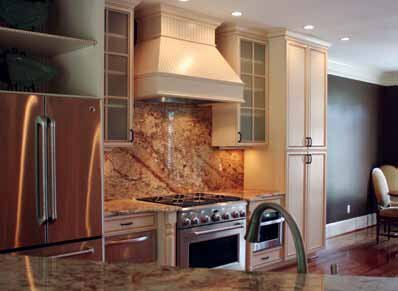 They recently broadened their scope of services from countertops to include complete renovation services, becoming Queen City Kitchen and Bath. They now offer turn-key kitchen and bath renovations and project management to act as a liaison between the various subcontractors that are involved in a kitchen or bath remodel. “Because we run the entire project in-house, this ensures on-time delivery and high quality workmanship, alleviating unnecessary homeowner stress,” says Dee Grannan, their in-house kitchen and bath designer. 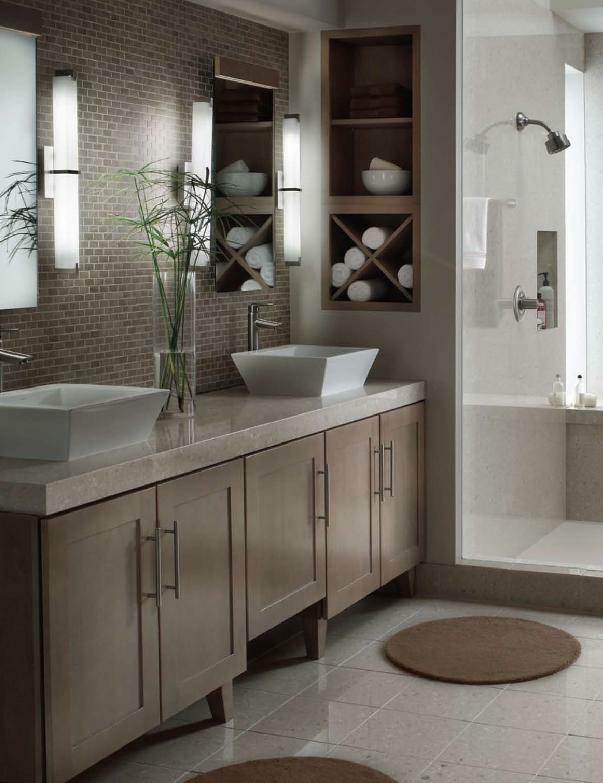 Click here to view the entire article or visit Urban Home Magazine’s website to learn more about Queen City Kitchen and Bath . Imagine a home filled with rich colors and comforting textures – the warm honey tones of well-polished wood .. . the soothing brushstrokes of chocolate. Now, imagine that you can have all it without doing any damage to the world in which we live. This spring take the natural approach to interior and exterior design with the stunning Urban Timber and the Horn Tile series found at Tile Collection. Whether you’re updating a kitchen or bathroom, adding an element of interest to living spaces or find yourself redefining your outdoor oasis, these sumptuous selections add easy elegance without acute care. 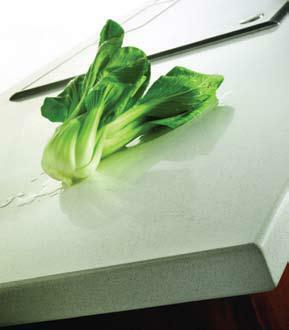 Rich and sensual, the veining of the Horn Tile series adds interest to any application. 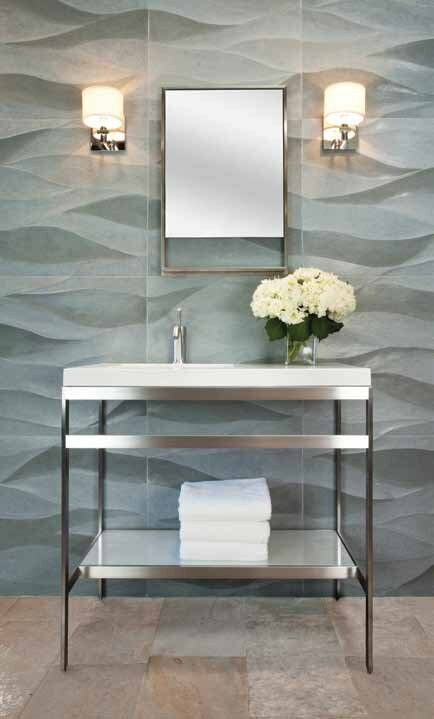 These generous tiles carry a slightly satin finish for a luxurious, enveloping atmosphere. Urban Timber has the look and feel of real wood — thanks, in part, to their unique dimensions. With distinctive color gradation and precise texture, these stylish tiles add warmth without work. Click here to view the entire article or visit Urban Home Magazine’s website to learn more about Crossville Tile and Stone. For more information on the Horn series or Urban Timber, visit www.tilecollection.com, call 704-541-8453 or stop by the showroom at 11200 Carolina Place Parkway.